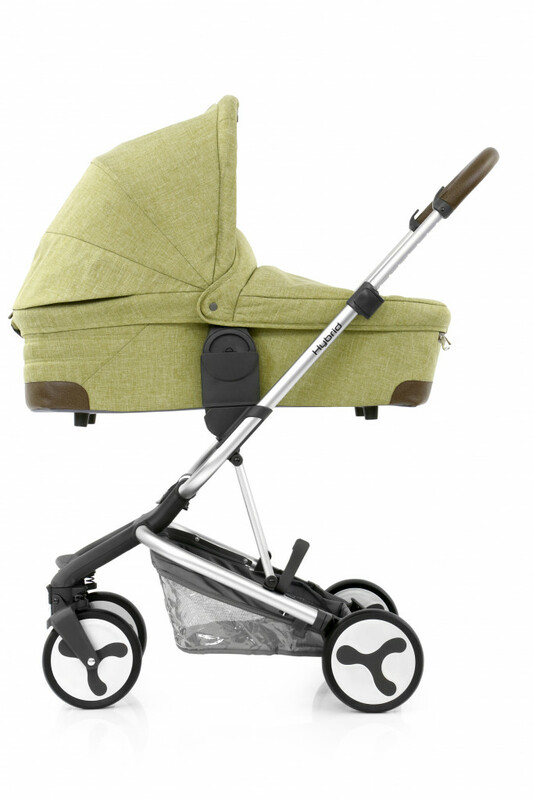 The Babystyle Hybrid is a pushchair with a unique sense of style and purpose. 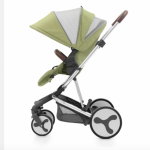 The Hybrid is a single pushchair chassis with the option of different axles and wheels for City use; every day use - the Edge; or can have the axle extended for use as a tandem pushchair for two children. 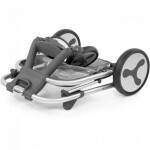 This compact pushchair has a multitude of options with forward and rear facing seat(s); one or two carrycots; one or two infant carriers; or different combinations of these. Height adaptors can be used to lift the seats or carrycots higher to offer additional space in tandem mode or to lift a child nearer a table when eating. 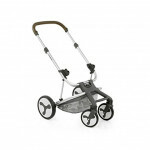 Please note we have awarded the Hybrid Edge a Best Buggy 5 Gold Star Rating. 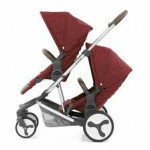 We have awarded the Hybrid Tandem a Best Buggy 4 and a half Gold Star Rating. 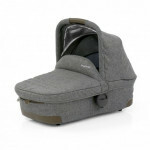 Value for money; one or two child options; 2 seat units, 2 carrycots, 2 car seats or a combination. Different axles and wheels swap to offer a different experience. The City rear axle is small, narrow and nippy. The Edge rear wheels are larger and more robust. The tandem axle allows for two children to be carried. Neat fold. 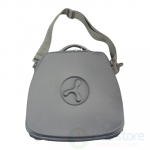 Ingenious hanging bag fits neatly into the basket or on bag clips on the handlebar. 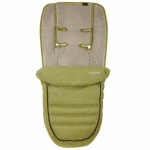 One handed pull harness (like a car seat). Extendable shopping basket. Reversible seat. Adjustable footrest. Built in insect net. Puncture resistant tyres. Compact fold. Height adaptors. No basket space in tandem mode. Heavy to push uphill in tandem mode. Harness difficult to do up in tandem mode. Front 19cm lockable / Swivel quick release wheels. The rear axle can be exchanged giving a choice of large (26cm) or small rear wheels; or an extended tandem axle with large wheels. The wheels are PU puncture resistant. The rear axle removes quickly and easily and then can be swapped for the City or Hybrid axle. The first three images above have the smaller City axle; the last three images have the larger rear wheels of the Hybrid axle. Both the single and tandem seats are identical. However, the footrest of the tandem seat needs removing before fitting.